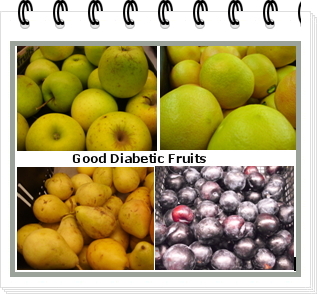 Diabetics Eating Good or Bad Fruits? 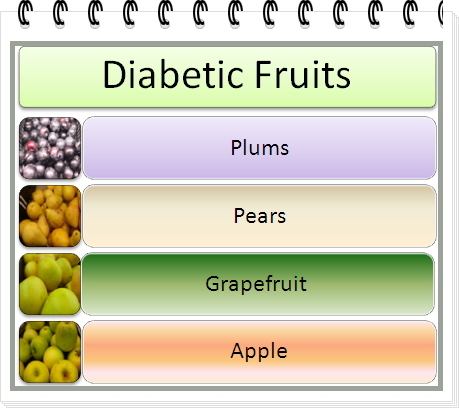 Fruits are considered among the best foods choice for diabetics. It is good to consume them, but there are some doubts regarding their sugar content. So, if you are taking fruits in form of juice, that means that you are taking more portions of that fruit than if you, were to eat only the fruit alone. It is true that drinking fruit juices is a very healthy habit, however, you should keep an eye to the portion. You will find it very easy to consume large amounts of fruit juices, but that could probably affect your glycaemia. Furthermore, you won’t take the right quantity of fiber if you were to drink fruit juices than if you were to eat the whole fruit. The time when you consume the fruits is also important. For instance, if you take with meal, that particular fruit might raise your blood sugar more than if you were to eat it separately as a snack. Checking your blood sugar before meals (or snacks) and/or two hours after eating might help you give a better judgment about the impact of a particular fruit on your blood glucose level. As a crucial part of a diabetic meal plan, fruits can provide the right nutrients (vitamins, minerals, essential nutrients). Furthermore, they are good sources of fiber, which is also essential for diabetics. That is good especially when they are consumed fresh; otherwise, if canned in glucose or fructose syrup or whatever; they could become a source of troubles. Are there really Good or Bad Fruits? The one which are considered “good” have low glycemic index (GI) and include cherries, plum, pear, grapefruit, apple, strawberries. There are some other fruits that are considered as having low-to-intermediate glycemic index, including peach, oranges and grapes. With regards to banana, apricots and kiwi, their GI is considered high-intermediate. Although the GI of some fruits is considered high or intermediate, this does not mean that you should not eat them. The only problem is related to the right portions you are taking. For example, you may enjoy the half of a large banana or just a small one per day. Meanwhile you can have a mixed fruits salad including pears, plums, strawberries, etc. You may add some fresh yogurt or low-fat yogurt to sparkle this healthy salad. Have the full list of foods low in GI! Enjoy some simple recipes with low GI.